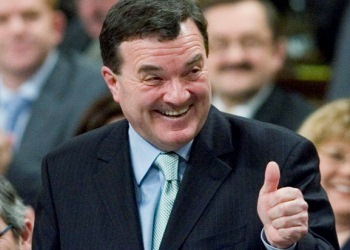 Finance Minister Jim Flaherty scored a big win in his quest to form a national capital markets regulatory system by gaining formal support from BC and Ontario – winning praise from both industry groups and investor advocates. The federal Ministry of Finance announced that it has reached agreement with its provincial counterparts to establish a cooperative capital markets regulatory system. The parties have invited all provinces and territories to participate in the proposed system. The announcement was warmly greeted by industry, which is often frustrated by having to deal with 13 separate regulators, one for each province or territory. IIAC represents Investment Industry Regulatory Organization of Canada-regulated member firms. In the mutual fund channel, the move was also welcomed by the Investment Funds Institute of Canada. "The mutual funds industry already benefits from a highly harmonized regulatory environment through the Canadian Securities Administrators’ national instruments," said IFIC president and chief executive Joanne De Laurentiis said in a statement. "Based on the Ministers' stated intention to preserve the elements of the current system that work well, we are optimistic that the new entity should be able to integrate the current set of national instruments into an effective, more streamlined framework." Separately, the Canadian Foundation for the Advancement of Investor Rights (FAIR Canada), found itself in alignment with the industry associations. “FAIR Canada believes that the creation of a common securities regulator, with investor protection as a top priority, will provide greater protection for retail and other investors, while at the same time ensuring that the Canadian securities markets operate as efficiently as possible,” FAIR added.